Teething is such an ordeal. Baby’s gums are sore and aching, and you’d do anything to help them. Innobaby’s Star Teethers are perfect for your little one’s tough time. Innobaby’s star teethers aren’t just great for teething pain, they’re considered “training teethers,” which means they’re great for a bunch of different reasons. They stimulate the muscles of the lips, tongue, and cheeks to improve oral motor skills, which aids in nursing, eating solid foods, drinking from cups, and speech development. 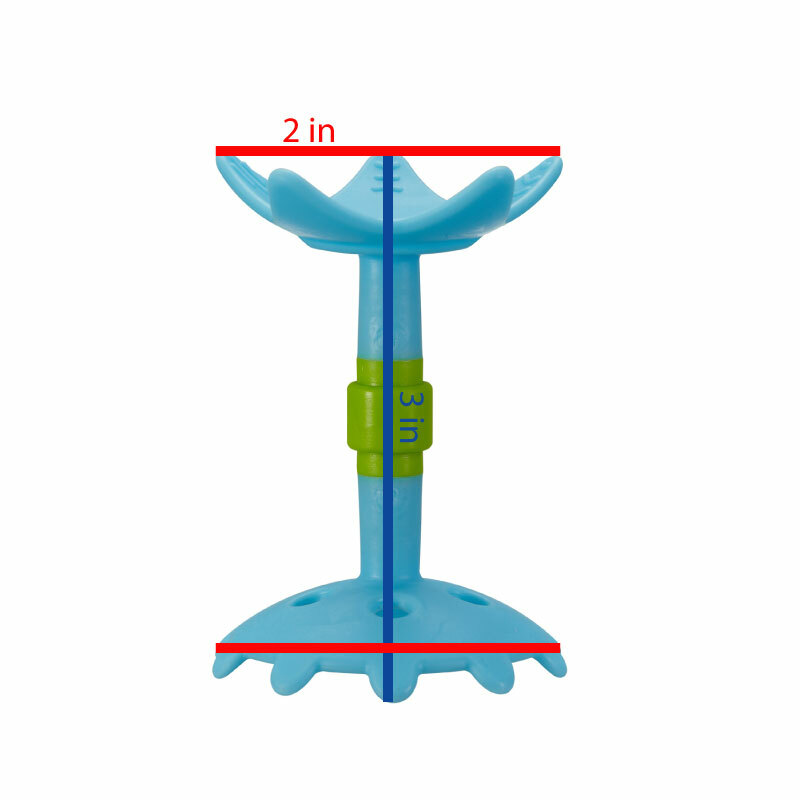 The light and easy to grip handle also improves hand-eye coordination. Giving two to baby will allow for bilateral movement and stimulation of both sides of the brain, as well. Winner of The National Parenting Center's 2013 Seal of Approval. My son loved this teether! This teether was so lightweight and my son loved it! We bought two so we always had one on hand. I got this for my 16 month old who is teething badly and has a couple teeth coming through all at once. He loves it so much, I now don't leave the house without this teether!! I love that it's silicone because it's gentle on his gums and easy to clean. A good size and convenient on the go! I highly recommend this teether. 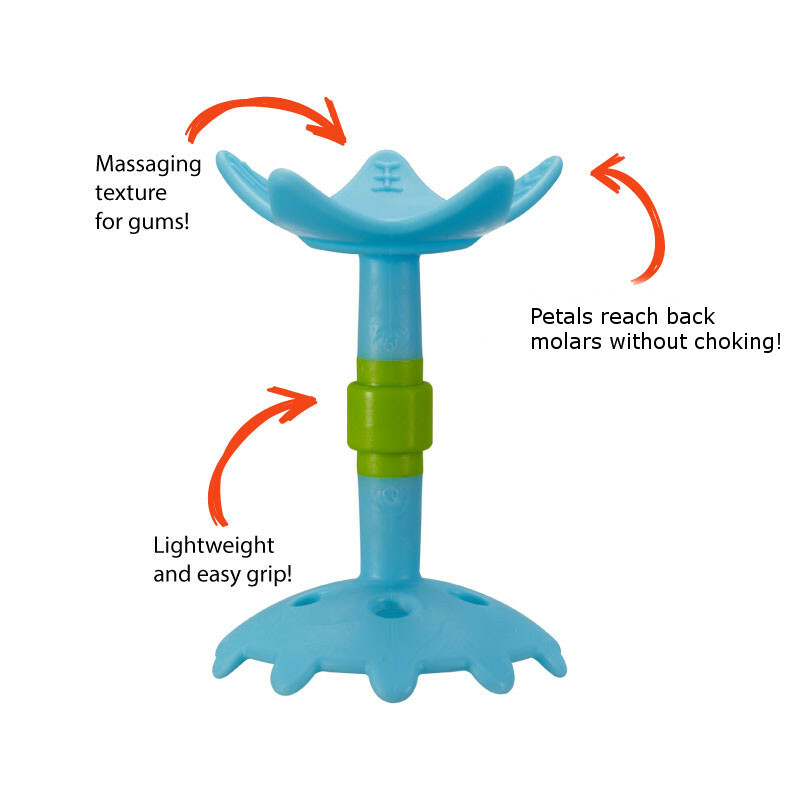 My little guy is teething and loves this teether - we love that it is easy to sanitize, can be frozen, and is easy for him to hold on to and chew on!